We’ll post the link to the video, once it is online. 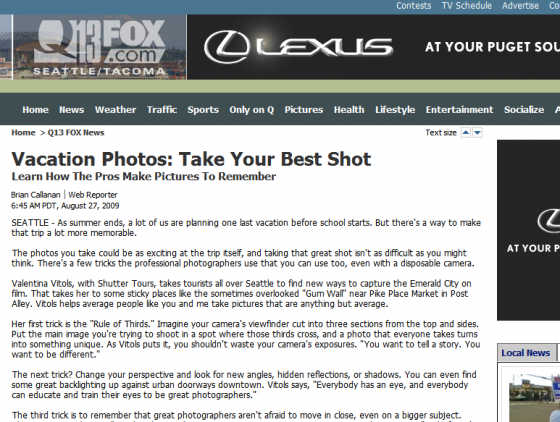 This entry was posted in Announcements and tagged 13, FOX, KCPQ, photography, Seattle, tourism, travel. Bookmark the permalink.